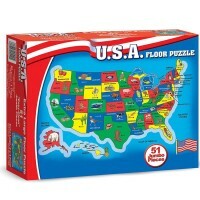 The giant floor puzzle set includes a 100-piece US map jigsaw, information book, and 21 put-together American icons and landmarks that a child can use as a game to find which state they belong to. 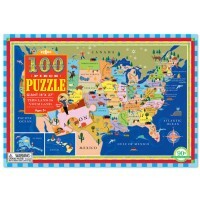 Discover America with all its beauty and diverse culture as you play with this map puzzle playset from Crocodile Creek. 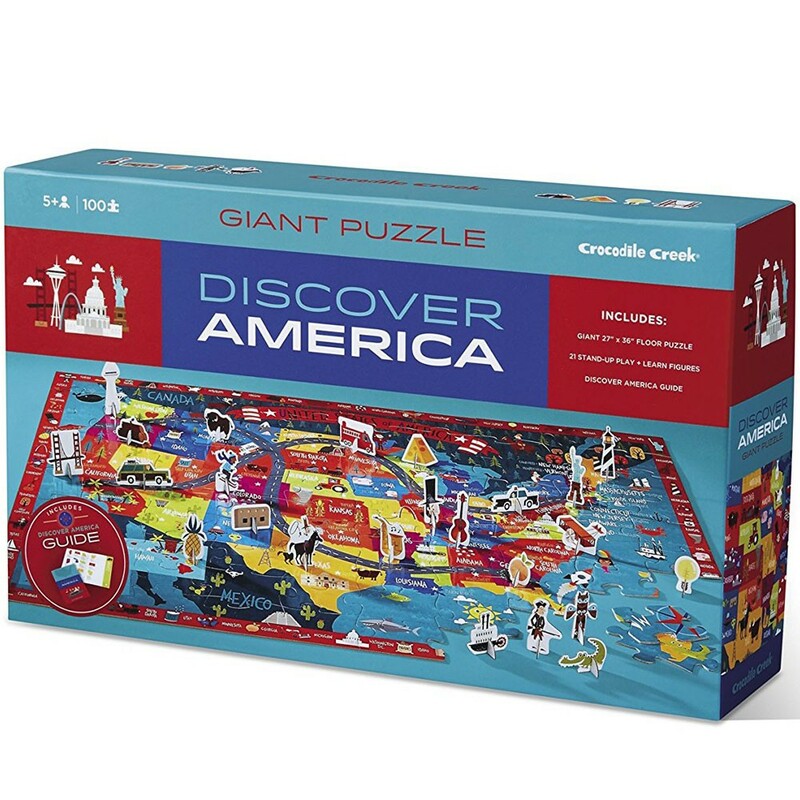 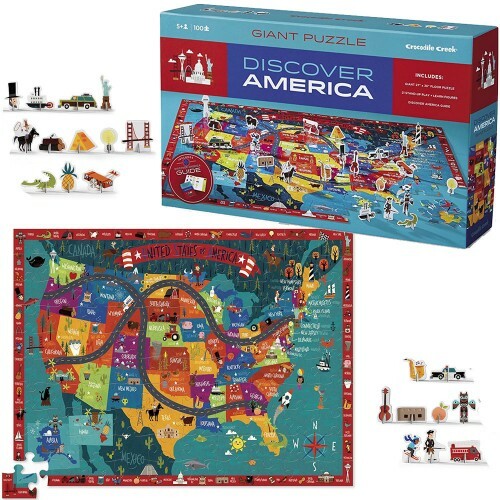 Discover America 100 US Map Puzzle & Play Set features a giant floor puzzle and figurine set to play and learn US geography. 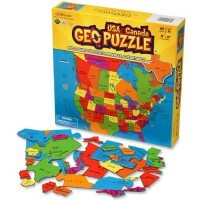 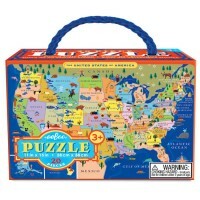 This US map puzzle includes 100 sturdy pieces made with soy-based ink on recycled cardboard. 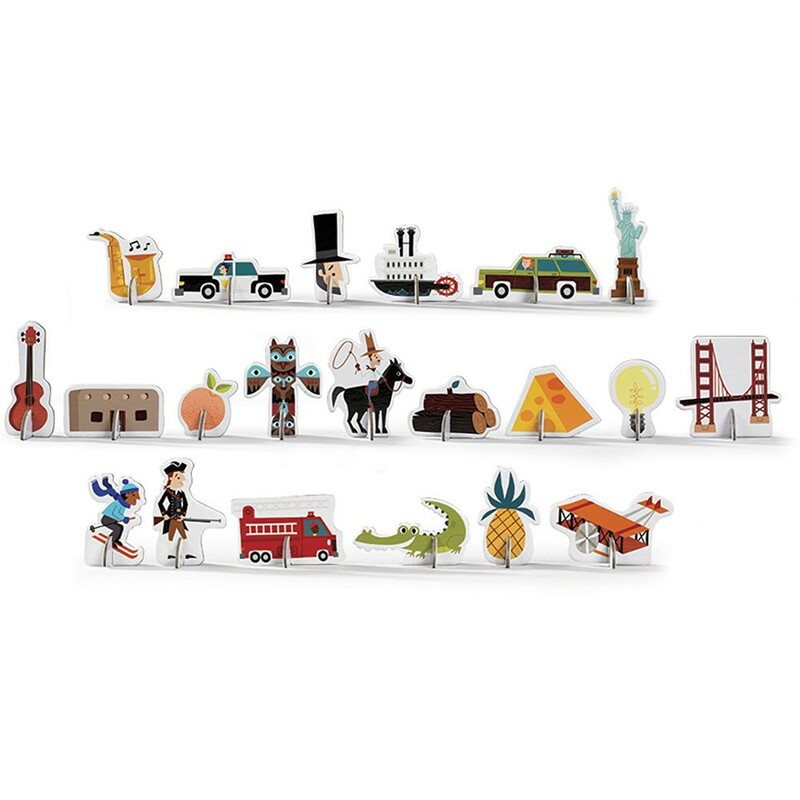 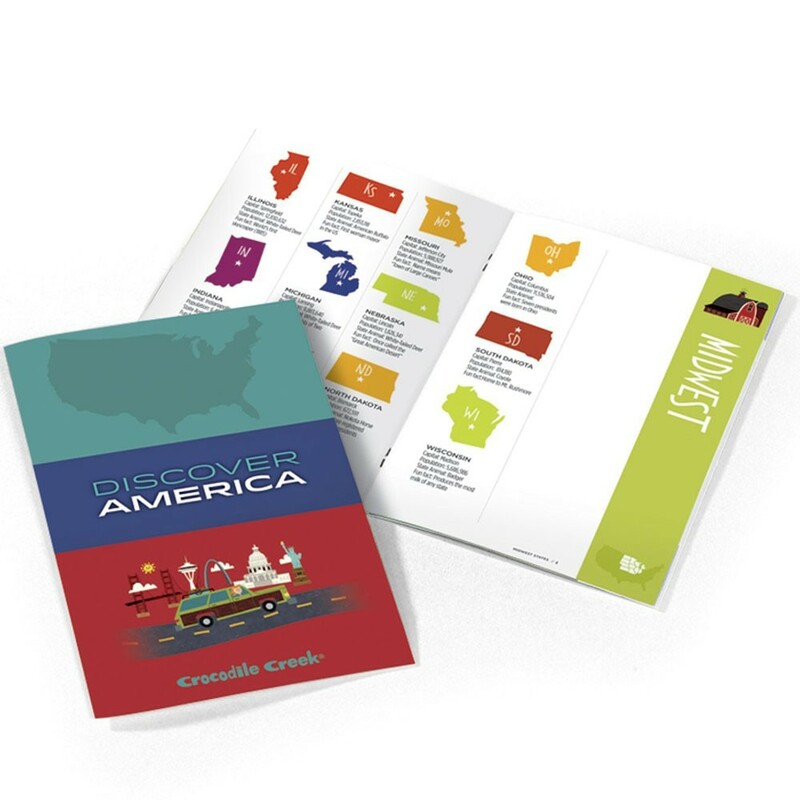 The learn about USA set contains 21 put-together American icons and landmarks that one can use as a game to find which state they belong to. 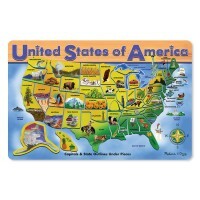 With this Educational Toys Planet's puzzle set children will learn about the United States, each of its 50 states and all the icon landmarks of each one.The 3 foot puzzle also includes a guide book that has facts about each state. 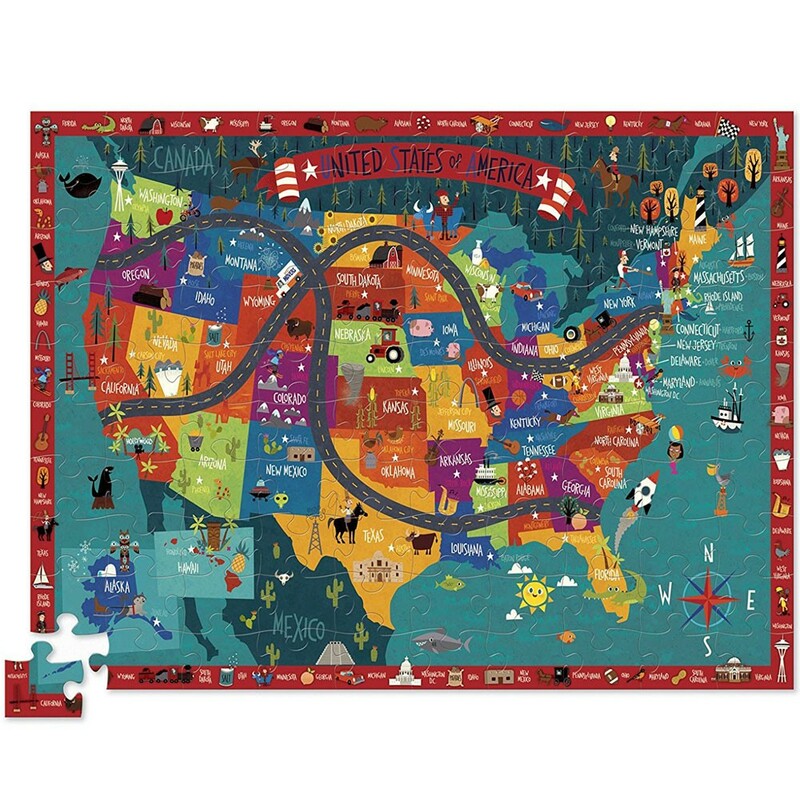 Assembled puzzle is 36 x 27.5 inches. 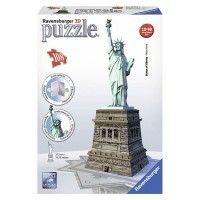 Figures are 3 x 3 inches (average). 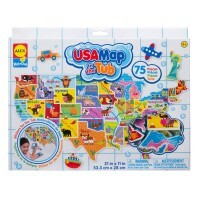 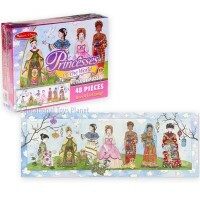 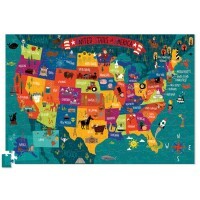 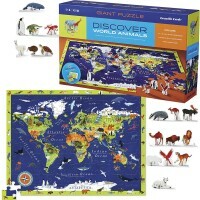 Dimensions of package 0.15" x 36" x 27.5"
Write your own review of Discover America 100 US Map Puzzle & Play Set.